The advent of social media introduced transformative platforms for people to share thoughts and information in entertaining and connective ways. But the benefits are increasingly being overshadowed by negative consequences as the monetization—and manipulation—of information threatens to tear us apart. In this paper, we examine six key issues and implications presented by social media participation and manipulation, and we cite examples of what we and others are doing—or could do—to possibly mitigate their negative impact. 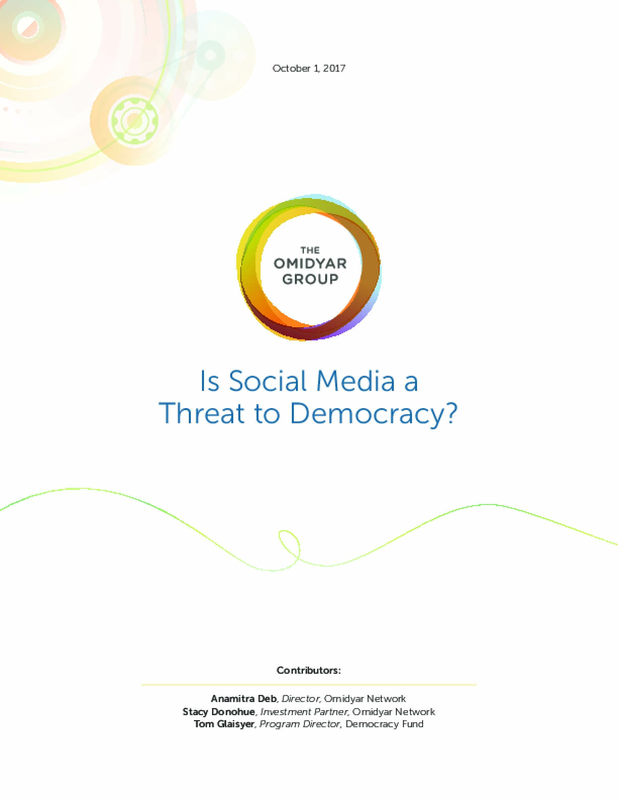 Title: Is Social Media a Threat to Democracy?